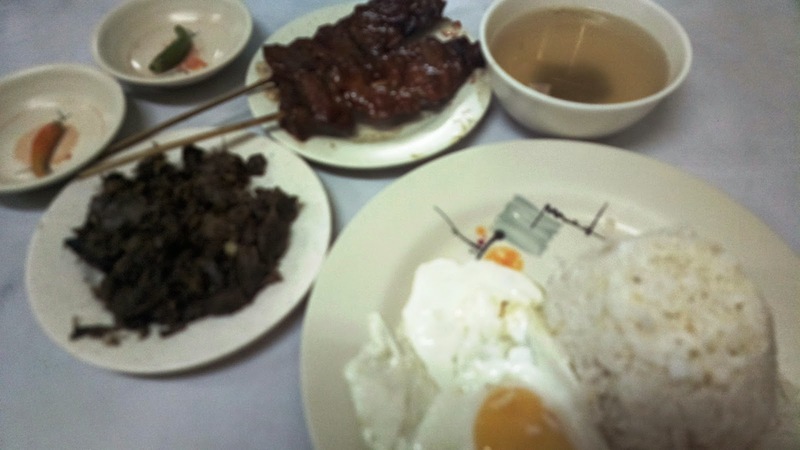 Maty’s Tapsilog and Barbecue in Parañaque City is one of the finest tapsilogan in Metro Manila. It’s located in Don Galo and is a household name for locals of this city, especially when it comes to tapsilog. A must try is their tapsilog, hence, the store name. The beef used is soft and sweet. You’ll also find other sinangag with egg meals in their menu including BBQ which you can order per stick for just Php15 (pricing is subject to change). It’s hot and straight from their grilling area. Maty's was established in 1960's with the original branch located along Quirino Avenue (in Don Galo, Parañaque). They now have 2 more branches within the same area. An interesting comment from a reader said the original branch was supposedly established even earlier (1950s) between Santa Monica St. corner Mayuga St.
We've recently spotted a branch close to Parañaque City's national high school. While they are known to be a karinderya type, I think this one's not too ideally located. It's hotter inside compared with the other branches. Looks like an upcoming branch is soon to open along Sucat and BF Homes as well, as per their Facebook page. Call 854-0889 (area code 02 for Metro Manila) for deliveries within Parañaque District I and Aseana areas. From what I've searched, District I include barangays Baclaran, Don Galo, La Huerta, San Dionisio, San Isidro, Santo Niño, Tambo, and Vitalez. Delivery hours are between 7AM to 6PM. Hours and covered areas may change. Find Maty’s Tapsilog and BBQ inFacebook for more details and updates including delivery availability, operating hours and more. They are open from 7AM to 3AM daily (unless otherwise specified depending on the branch location).